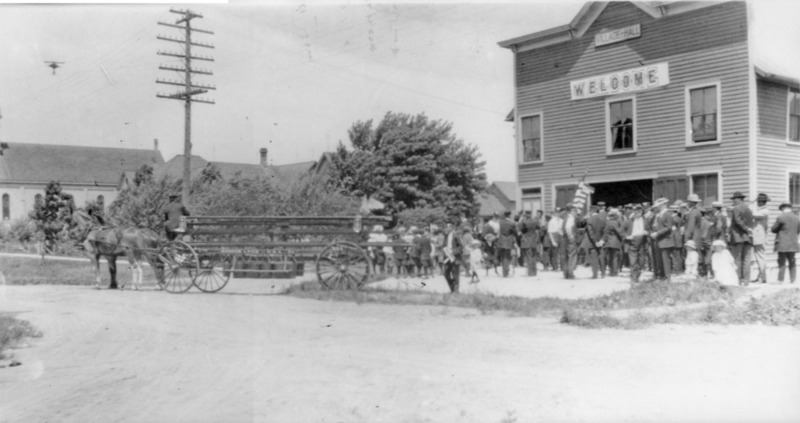 In 1907 the Random Lake Fire Department was organized. 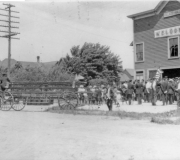 Friday evening September 5, 1907 the young men of Random Lake took a step into the right direction by organizing a volunteer fire department. Twenty-five men signed the membership roll. After adopting a constitution and by laws the following officers were elected. Chief – Jos. C. Hamm, 1st Asst. Chief – Peter Conrad, 2nd Asst. 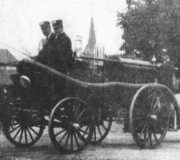 Chief Ed Magritz, Secretary J.P. Altenhofen, Treasurer D.M. Rosenheimer. 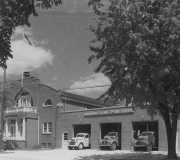 July 3, 1952 New Firehouse was completed, attached to the Auditorium. 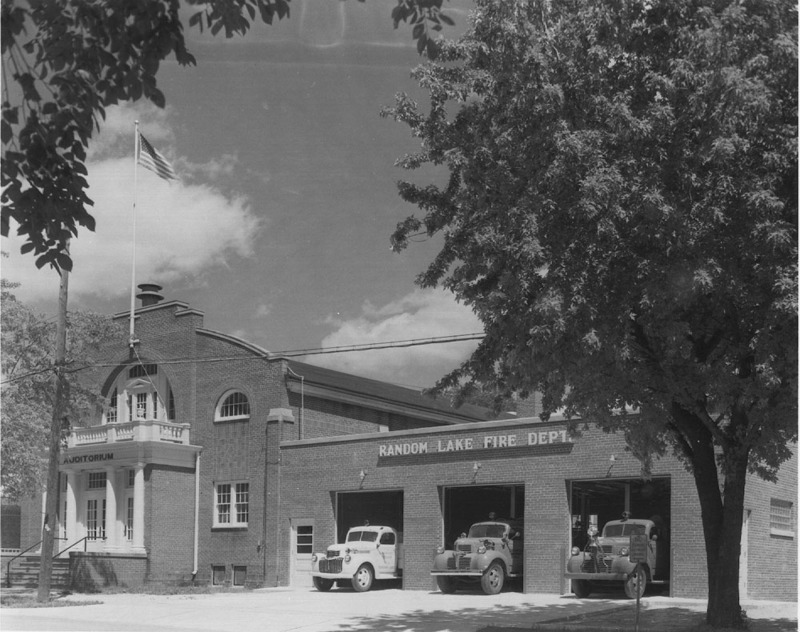 1974 Random Lake Fire Department began its emergency technician service. Mar. 13,1980 Erwin Arndt retires as fire chief after 25 years of service. Robert Arndt was voted as chief to succeed his father. 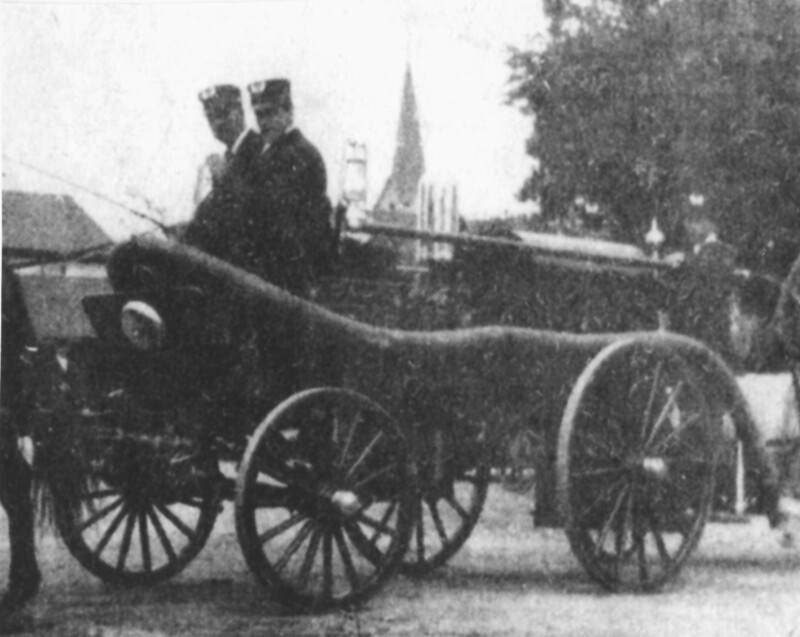 April 17 1980 Random Lake firemen purchase new ambulance to serve Random Lake area. May 29, 1980 Random Lake Ambulance Service begins. Ray Scholler is the Rescue Squad Captain. May 20, 1982 Random Lake Fire Department puts 911 into service. Aug 31, 1989 Fire Department buys land for a new firehouse. Oct 15, 1992 New Random Lake Firehouse set for dedication, put in use in 1991, includes 12,016 sq. feet comprising of three wings, room for 6 truck bays, ambulance wing and office and meeting room wing. April 24, 2003 Fire Department choose new site for picnic. July 24, 2003 Random Lake picnic debut at new site.